2018-19 Season Outlook: Are We Underrating the Celtics? Fifty-nine wins. That's the over/under for the 2018-19 Boston Celtics at the Westgate Las Vegas. A daunting number, right? After all, the NBA Champion and unstoppable-basketball-death-machine Golden State Warriors only went 58-24 last year, even if they did battle both injuries and boredom throughout the regular season. In any case, it takes an elite, cream-of-the-crop team to win 59+ games, so it would seem as though this year's edition of the C's is garnering a sufficient amount of respect from the experts. Not so fast. If anything, the team who won 55 games last season amid constant lineup turnover, and is being projected as the #1 seed to come out of the East, is actually underrated. I don't know how else to say it: the '18-'19 Celtics are going to be a juggernaut. I'm not saying they will take down Golden State in the Finals, but I'm also not not saying it, which is pretty much the highest praise you can bestow on a non-Dubs team within the current competitive landscape. The case for them to be a 60+ win behemoth is compelling, and not too hard to make. It all starts with coach Brad Stevens and the defense. I'm not breaking any new ground by singing the praises of Stevens, the coaching wunderkind who's had rose petals thrown at his feet by everyone in NBA circles since the moment he stepped into the league, and deservedly so. Suffice it to say, he and Gregg Popovich form an unimpeachable top tier of active coaches, and if his current trajectory holds, Stevens will almost certainly end up in the pantheon of all-timers. Great coaches coach great defenses, and the '17-'18 Celtics were certainly that. They ranked 3rd in the league in points allowed/game last season, and were best in the league on a per-possession basis, after ranking 15th and 13th, respectively, the prior season. There were reasons both to expect the defensive turnaround and to be surprised by it. In swapping out Isaiah Thomas for Kyrie Irving, they upgraded their defense at the point of attack from "catastrophically awful" to "generically bad." They got typically stout defense from stalwarts Al Horford and Marcus Smart, and saw big strides on that end from Jaylen Brown in his second season as well. 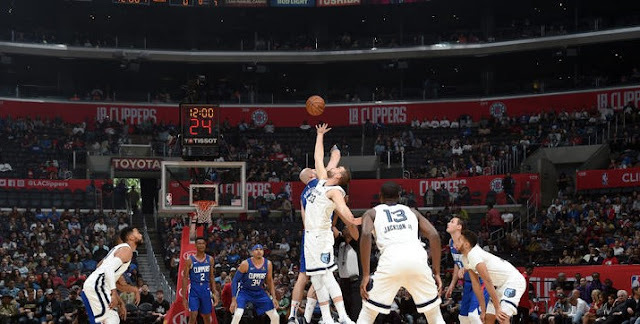 What was tougher to foresee was how, outside of Irving, they got positive contributions on the defensive end from nearly every other spot in the rotation. Terry Rozier, Daniel Theis, and Semi Ojeleye all proved to be valuable cogs, and despite pre-draft concerns about his defensive effort and acumen, rookie Jayson Tatum was quietly excellent on that end, even as he was forced to play big minutes right out of the gate. And Tatum only got all those minutes in the first place because Boston got absolutely nothing out of free agent acquisition Gordon Hayward who, along with his obvious offensive value, had quietly become a solid, versatile defender over his last few seasons in Utah. There is no reason to expect a backslide on the defensive end this season. Outside of Horford (who seems like he could captain an NBA defense well into his 40's anyway), the additional year of experience should be a boon to all the young legs on the roster. 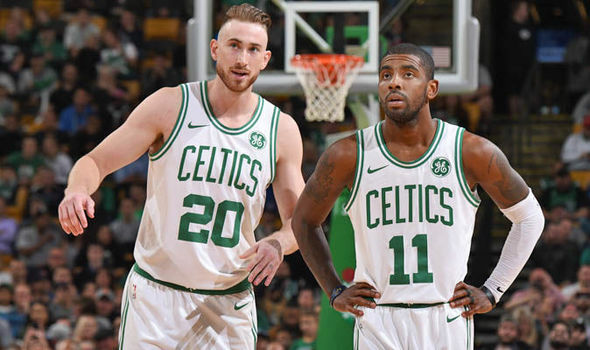 The return of Hayward (and ideally, better injury luck for Irving and Smart) should slot everyone into his proper role and minutes load, resulting in a more focused, rested, and cohesive defense -- a truly scary prospect for the Eastern Conference. The ability to deploy the wing trio of Brown, Tatum, and Hayward simultaneously will give them a level of versatility and switch-ability unmatched outside of the Hamptons. The return of Hayward (and presumably Irving) will also afford Boston an enviable level of depth, which, despite how much rotations may shorten in the postseason, remains an invaluable resource during the regular season. Brad Stevens is going to have the luxury of filling nearly every one of those 240 available minutes per game with either a star-level or above-average performer, and outside of maybe Toronto, I don't think there's any other team in the league for whom such a thing is true. He should be able to tamp down Smart's minutes, who, for all the grit and relentlessness he brings to the court, remains a woeful shooter and an overall offensive liability. Marcus Morris could similarly see his role marginalized; while he offers theoretical versatility as a stretch 4, on a team with this much talent, it's hard to justify 27 minutes a night and a 23.0 Usage Rate for a guy who shoots 43% from the field and doesn't defend or rebound his position particularly well. Smart notwithstanding, shooting once again figures to be a major strength for Boston. As a team, they shot 37.7% from 3 last season, good for 2nd in the league. Adding another savvy shooter and playmaker into the ecosystem in Hayward should only bolster the percentages further by drawing defensive attention away from Kyrie and Tatum. He should fit seamlessly into their motion-based offense, and he's overqualified to handle secondary pick-and-roll and dribble hand-off actions (in conjunction with the league's best screen-setter in Horford). Add it all up and what do you have? An unstoppable lead guard who has proven he can go get isolation buckets in the biggest moments (Irving). Supremely overqualified second and third options (Hayward and Tatum), the latter of whom could easily blossom into a full-on superstar as early as this season. A poor man's Tim Duncan (Horford), always there to provide an A+ in all the areas of the game most people wouldn't even think to grade. Endless depth, consisting of springy young athletes with tons more room to grow (Brown, Rozier, Smart, Ojeleye) as well as savvy vets to soak up minutes and offer consistency (Morris and Baynes). An offense that should be ready to turn the corner and become a top-tier unit, combined with a defense already at the peak of its powers. Outside shooting at nearly every position in a league increasingly defined by the trend, and a young, Hall of Fame-level savant of a coach to orchestrate it all and squeeze out those last few wins at the margins. Read the last paragraph again, and tell me what about it suggests the Celtics will be anything less than great? And here's the kicker: if GM Danny Ainge decides the team isn't good enough as constructed, he absolutely has all the tools to make it even better! If they decided they wanted to reel in a big fish, Tatum or Brown would obviously draw a huge amount of interest. They have raw prospects on their roster with untapped upside who could be seen as assets for a suddenly-rebuilding team (Guerschon Yabusele and Robert Williams, the latter of whom will obviously need to get his act together if he wants to have a pro career). And then there's the draft picks. Oh, the draft picks. Even though the Russian draft pick pipeline, courtesy of Brooklyn, has finally run dry, Boston still has all of its own future first rounders AND three more coming as soon as next year (from Sacramento, Memphis, and the Clippers, with various protections on all of them). The Sacramento pick (top-1 protected, obtained from Philly in the Fultz/Tatum swap) is an embarrassingly good asset for such an already loaded team to possess. At a certain point, there could be diminishing returns on adding more star-level talent to such a good roster, but wouldn't it be fun to see them try? Speculation has run rampant Ainge is biding his time, hoping Anthony Davis becomes available from New Orleans, but I struggle to see a scenario where the Pellies would entertain anything but the most Godfather of all Godfather offers, and even then they probably wouldn't pull the trigger. Davis is just that good. Even if Davis isn't in the offing, if they were so inclined, the Celtics could easily put together a package built around Smart's eminently tradeable contract, Williams/Yabusele, some contract filler, and the Sacramento and Memphis picks. An offer of this kind would probably shake loose some premium talent, and it wouldn't alter the team's existing core in the slightest. That's crazy. I do not suspect Ainge will go this route, though it certainly is fun to imagine. He has mostly shown himself to be committed to the long game, and he probably feels (correctly so) the team is in a great position to compete for titles in both the near- and long-terms, especially with so much additional draft capital on hand to continually replenish the talent pool. Windows of contention close faster than you think in the NBA, but Boston has successfully engineered an opportunity to prop that sucker open for the foreseeable future, starting with what is shaping up to be a loaded-but-also-balanced '18-'19 squad. Assuming some level of health, it would be pretty surprising not to see the Celtics come out of the East this year (and yes, perhaps even give the Warriors a run for their money), and there's a good chance we'll be saying the same thing every preseason for quite a while.